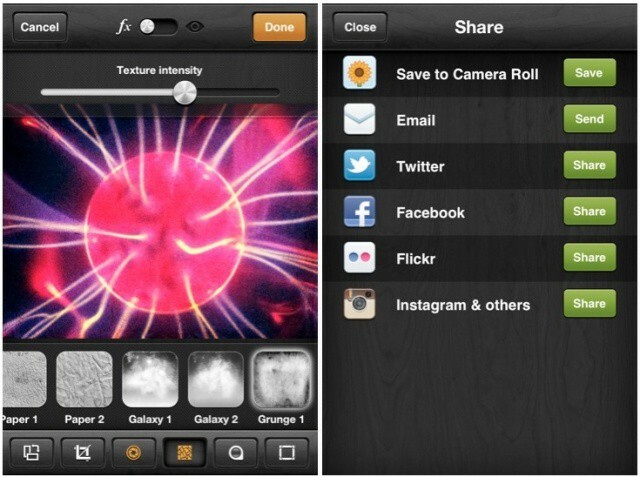 We’re spoilt for choice for camera apps these days, so any newcomers on the scene have to prove themselves somewhat. They face tough competition. Bright Mango’s Wood Camera, despite its odd name, stands up to its rivals well. It’s a useful multi-function camera with live image filters and an understated, speedy interface. The 22 filter effects on offer (called “lenses” in this app) are present whenever taking a photo, in a scrollable bar across the bottom of the viewfinder. Quite a few of them are rather muted, lending a somber tone to pictures, but there are some that liven up the colors. What’s most frustrating about them is their naming system — Patagonia, Kingston, Merida, and so on — which mean nothing to anyone and certainly don’t give any clue about what the visual effect will be. You just have to trust the tiny icon previews, and use trial-and-error to get an effect you like. You’ll get used to it after a while, and in its defense, this is by no means the only photo app to assign seemingly random names to visual effects. The great thing about the effects is that they are live, so you see the effect you’ve applied in the viewfinder before you take the picture. If you’re capturing any sort of moving object, it’s best to simply use plain vanilla “original” mode and apply the effects later, otherwise you’ll spend too long hopping around from one to another. Lots of options for textures, etc. Your library of saved photos acts like a front page for the app. From here you can either go to shooting or editing mode. (You need to press “Cancel” to get out of shooting mode, and “Close” to get out of editing mode.) There’s a preference in the settings that lets you go straight to shoot mode when you launch the app. There are plenty of editing options on offer, on top of the 22 filters. There are frames, crops, textures, and effective tilt-shift controls. I really like the image (p)review feature – tap and hold on any image in edit mode, and the original photo will briefly appear, so you can see just how your chosen filter has affected it. Great idea. Everything’s nice and fast, which is one of the things that gives Wood Camera an edge. 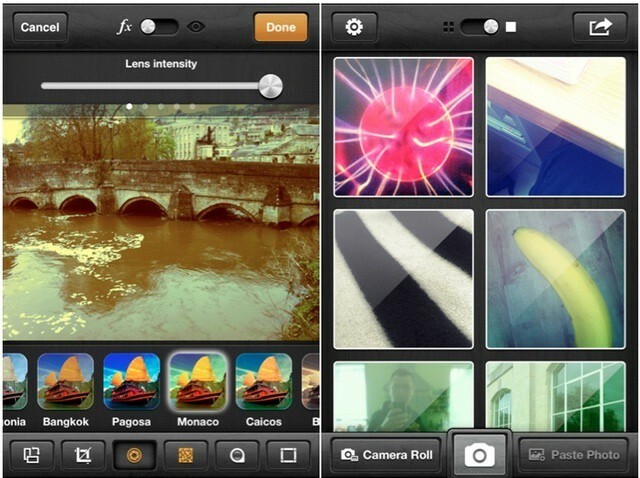 Some other camera apps offer more, but at the cost of slowing everything up. If you already have a camera-with-fx app that you’re happy with, there’s probably no need for you to try this one as well. But if you’re still looking for one, or if you’re just as addicted to photo apps as some of us here at Cult of Mac, it will only set you back $2. Pro: Speedy camera app with a handful of new ideas. Con: A few interface tweaks would be a good idea.